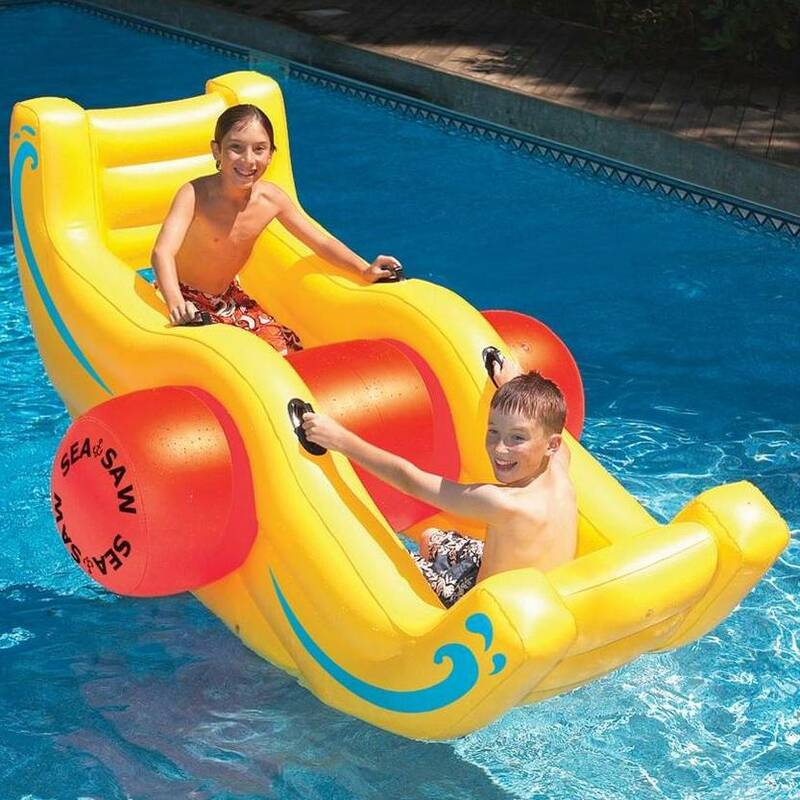 Your kids will just love this big new Swimming Pool Inflatable Sea-Saw Rocker. Inflatable Swimming Pool Products make any pool or aquatic activity more enjoyable. Made of heavy gauge vinyl, the rocker has built-in handles that double the fun. A whopping 90 inches across! Will provide hours of fun for children of all ages.